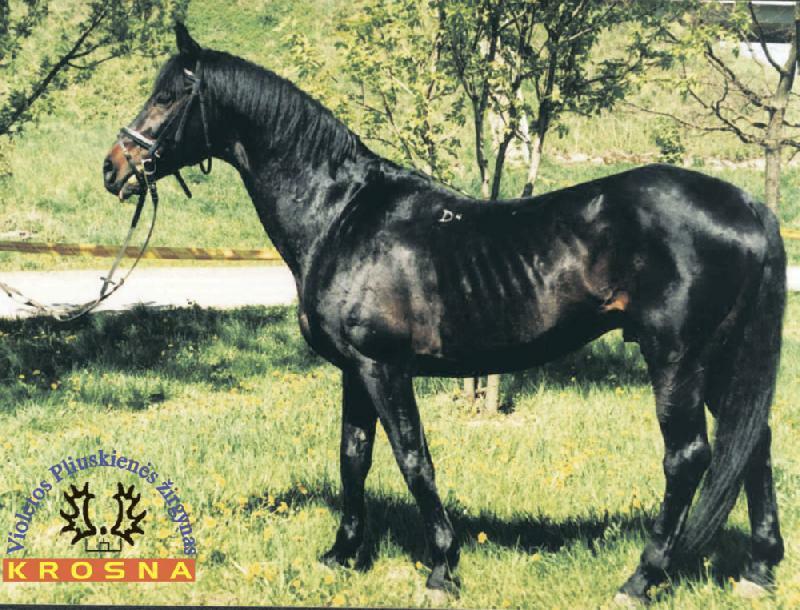 Used in Krosna stud from 1997. 2000; won Vitovt-Grand Duke Cup. 2002: won International junior games with 14 y.o. Aleksas Seilius; won Lithuanian winter champioship stage; won Baltic states junior cup. 2005: 2nd - Lithuanian Junior Championship.